$20 The granddaddy of all task management apps, Omnifocus may be a bit pricey but it helps get things done. It’s especially good at managing groups of people. You can organize tasks by person, place, or due date. Omnifocus is great for organizing a household’s chores or group projects. Head to Omnifocus. Free Create notes and reminders about movies you’d like to see, books you’d like to buy, or just events you’d like to remember. Springpad is also great for putting together shopping lists: You can quickly create checklists and scan barcodes to keep track of items you’ll need in the future. (Also optimized for iPad.) Head to Springpad. 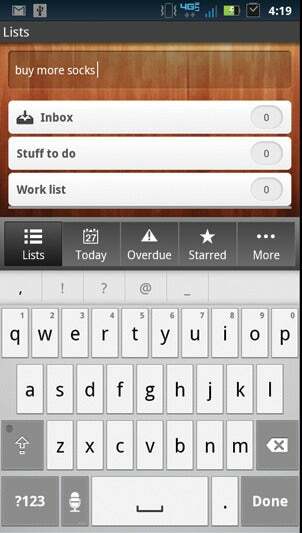 Free Wunderlist syncs your to-do lists across all your devices, so you al­­ways have your tasks with you. Wunderlist will also email you when you are close to a deadline, in case you don’t check the app every day. Head to Wunderlist. $1 Reckless Racing is one of the best-looking racing games available for mo­­bile devices, and it has dozens of courses to choose from, some with hidden shortcuts (a huge advantage if you know them). Then, once you’ve sharpened your skills, you can challenge friends and strangers to online multiplayer contests to find out who really is the most reckless racer. Head to Reckless Racing. Free If you love watching Internet videos while on the go, Showyou will quickly be­­come your favorite app. It pulls videos from various sources (sites such as CollegeHumor and Devour) and then displays them on a browsable grid. If you find a video that you particularly like, you can share it to your social networks, or you can simply save it for viewing at a time that’s more convenient for you. (Also optimized for iPad.) Head to Showyou. Free Songify will entertain everyone by turning what you say into a heavily autotuned song. You can set different beats and purchase new ones from the in-app store. The app was inspired by the work of the Gregory Brothers, creators of YouTube hits such as “The Rent is Too Damn High” and “Can’t Hug Every Cat.” Head to Songify. Free StumbleUpon lets you “channel surf” the Web to find things that are relevant to your tastes. You list the topics that you’re interested in, and the app will recommend websites to match. On Android devices, it will even recommend other apps based on what you have already installed. Head to StumbleUpon. Free If you have friends that use a variety of different IM services and you don’t want to have to switch between individual apps, IMO Chat will feel like a godsend. It connects to AIM, Facebook Chat, GTalk, and Yahoo (and a few others); it also permits you to be signed in to multiple accounts at once. IMO Chat is great for chatting with coworkers on GTalk, while saying hello to friends on Facebook. Head to IMO Chat Instant Messenger. Free A must-have for avid users of Tumblr, the posting and sharing site, this app lets you blog no matter where you are. You can upload pictures, videos, and audio, or compose a post just as if you were on the website. Head to Tumblr. 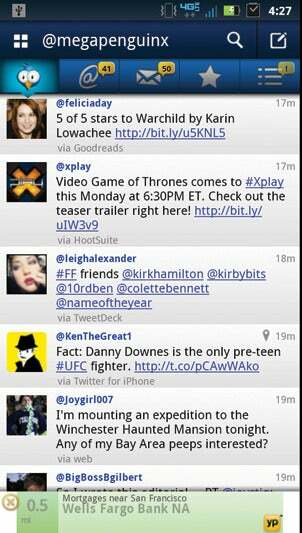 Free Tweetcaster is a colorful and cartoony app that lets you update and view your Twitter and Facebook accounts. If one of your friends likes to blast several hundred tweets at once, you can temporarily hide those tweets until you see fit. The app can also show you tweets for local happenings. (Also optimized for iPad.) Head to Tweetcaster. Free This app lets you manage multiple blogs from your mobile device. You can view blog comments, create new posts or pages, and even get stats on visitor numbers. The app is especially handy if you run several websites and need to check on them. (Also optimized for iPad.) Head to Wordpress. Free A useful app for any iOS device, Lookout protects your phone from unprotected Wi-Fi hotspots, tracks the device if it ever goes missing, and enables you to back up your information remotely in the event that you can’t get your phone back. Head to Lookout. Free This app is a mobile browser that has your back. It labels which sites in Google search results are safe to visit, and it alerts you when you’re visiting a site that’s trying to steal your personal information. (Also optimized for iPad.) Head to Webroot SecureWeb. Free With its barcode scanner and other price-comparison tools, this app is a must-have for smart shoppers. Head to Amazon Mobile. Free ShopSavvy turns your phone into the ultimate barcode scanner. 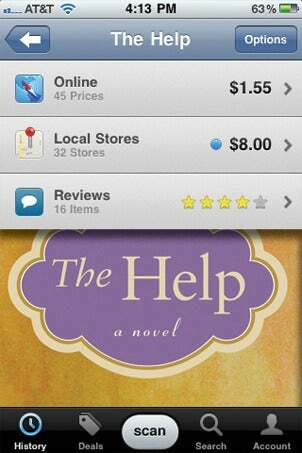 You can scan UPC, EAN, and QR formats on a product, find out its price at that store, and compare that with the prices at other stores and sites. If you see a better deal online than in-store, you can buy directly from the ShopSavvy app. Head to ShopSavvy Barcode Scanner. 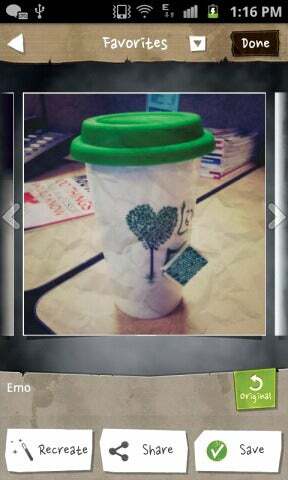 $1 The iPhone 4S’s camera may have im­­proved on its predecessor’s, but it still lacks some advanced features. Camera+ fills in the gaps: It assembles a ton of useful shooting and editing tools such as an advanced digital zoom, a photo brightener, touch exposure, focus controls, and a stabilizer. Head to Camera+. $2 With MagicHour, you can transform your photos into art by choosing from its 40 available photo filters (everything from Emo to Postcard). You can also download even more filters (for free) or create your own. Head to MagicHour. Free An alternative to Instagram, Picplz also gives you the ability to apply filters to the photos you take, and upload those photos onto Facebook or Twitter. You can follow other Picplz users and add your favorite photos to a collection. 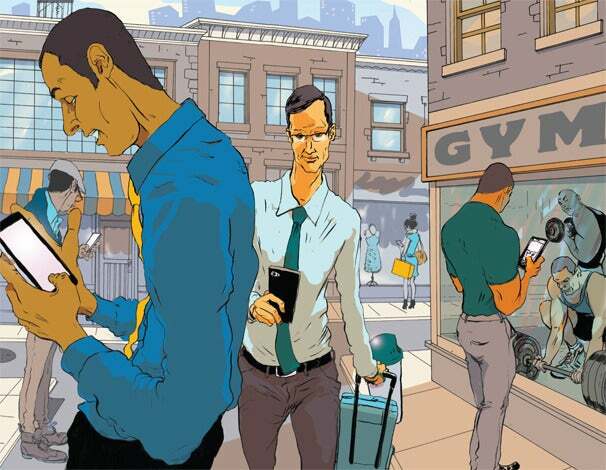 Picplz will appeal to social shutterbugs who love to share their photos online. Head to Picplz. $3 Articles takes Wikipedia and cleans it up to resemble a stack of papers. Though it limits you to searching Wikipedia only, Articles does permit you to have multiple Wikipedia pages open at the same time. This arrangement en­­ables you to jump quickly from one article to another without having to search for the original article again. (Also optimized for iPad.) Head to Articles. Free Perfect for anyone who can’t stand spelling errors, this app can help you make sure that you never misspell another word. It can also read words back to you aloud (in case you don’t know how to pronounce them), and it has a thesaurus mode, as well. (Also optimized for iPad.) Head to Dictionary.com. 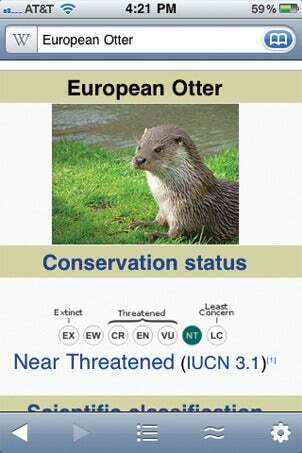 Free Wikipanion formats Wikipedia articles so that they fit better on your phone or tablet screen. The app supports other wikis as well, and if one of your favorites isn’t listed, you can ask the developers to add it. Wikipanion can use your current location to find Wiki­pedia articles about places nearby—a capability that can be particularly useful when you’re traveling. (Also optimized for iPad.) Head to Wikipanion. $2 Wolfram Alpha gives you vastly more information than a simple Google search ever could. The app can help with balancing chemical reactions as well as solving advanced trigonometry problems. And if that’s not your thing, you can use it find out how much wood a woodchuck would chuck if a woodchuck could chuck wood. (Also optimized for iPad.) Head to Wolfram Alpha. Free Purchase, manage, and redeem Groupon deals directly from your phone. This mobile version of Groupon also lets you share deals with your friends so all of you can take part in that killer all-you-can-eat pizza deal. (Also optimized for iPad.) Head to Groupon. 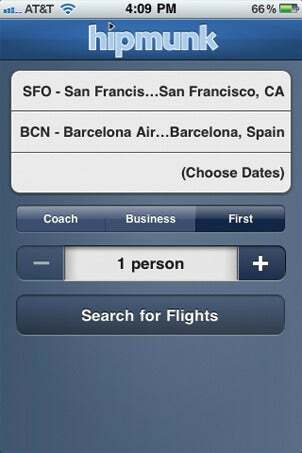 $1 A must-have app for business travelers and jetsetters, MileBug helps you track your business and personal driving expenses. Turn on GPS tracking, and the app will note exactly how long your trip was and translate that mileage into a dollar amount. Head to MileBug. Free PageOnce lets you pay your bills, keep track of your accounts, and in­­stantly see your most recent purchases and deposits. You can also schedule real-time alerts when bills are due so you’ll never miss an important payment. (Also optimized for iPad.) Head to PageOnce. Free Despite taking four years of German in high school and listening to nothing but your Rosetta Stone tapes on the plane, when you finally arrive in Munich, you completely blank on the word for restroom. Google Translate to the rescue: Type or speak a word in English, and get an immediate translation in over 30 languages. Head to Google Translate. Free Finding the perfect (and most affordable) flight for your vacation can be tedious, but Hipmunk alleviates some of the pain. The app presents flights on a timeline and cleverly sorts them by agony level, taking into account how long you’ll be traveling and how many stops you’ll make. (Also optimized for iPad.) Head to Hipmunk. Free Kayak is your one-stop app for vacation planning: Book a flight, rent a car, find a hotel, and track your flight. Kayak compares hundreds of travel sites at once so you know you’ll get the very best deal on your well-deserved trip. (Also optimized for iPad.) Head to Kayak. Free Sending your friends and family digital photos from your tropical vacation is nice, but sending a customized postcard is so much cooler. With Postcard on the Run, you can instantly send trip photos taken with your iPhone or An­­droid phone as real, physical postcards with personalized messages to any address in the world. Although the app is a free download, you will have to pay the service an additional amount for postage, which will range from $0.99 to $1.69 per postcard. Head to Postcard on the Run. $10/year for premium version Google Maps may be one of the best navigation apps, but iPhone and BlackBerry owners miss out on its turn-by-turn directions. Enter TeleNav, which offers those directions; it also helps you find cheap gas prices nearby, discover local restaurants, and view 3D maps. (Also optimized for iPad.) Head to TeleNav. Free Whether you’re into baseball, dancing, or orienteering, Endomondo Sports can help you track your physical activities. It will show you how long you’ve done your activity, how far you’ve gone (distance-wise), and how many calories you’ve burned. Head to Endomondo Sports. Free iMapMyFitness uses GPS to track your fitness activities, such as running or cycling. 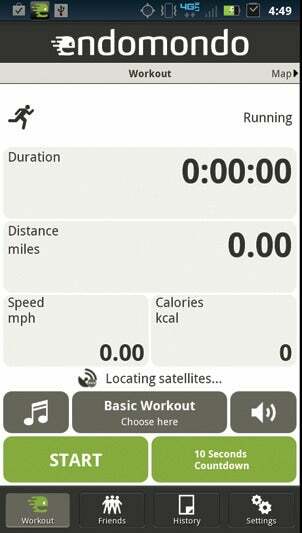 You can record distance, pace, duration, speed, elevation, and calories burned for each workout. You can also upload your fitness data to MapMyFitness.com, and challenge friends to virtual races. Head to iMapMyFitness. 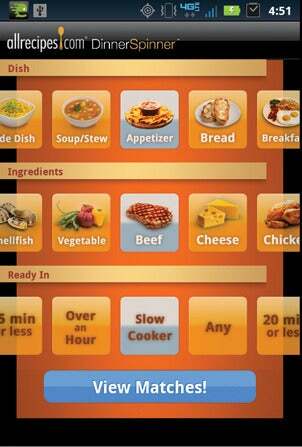 Free This app lets you search for meal options by dish type, ingredient, and de­­sired “ready” time. The highlight, however, is the Shake for Ideas feature: Shake your phone, and get a random selection of dishes and ingredients. Head to DinnerSpinner. $5 This app, based on New York Times columnist Mark Bittman’s book of the same name, gives you access to some 2000 recipes, plus straightforward cooking advice, how-to illustrations, ingredient information, built-in timers, and organized shopping lists. Note: Noncarnivores can opt instead for the How to Cook Everything Vegetarian app for the same price. Head to How to Cook Everything. Free In the Whole Foods app you can find creative recipes using what you have on hand, and see them in an easy-to-read interface, with nutritional info. Dietary restrictions? No problem. You can search for gluten-free, low-fat, and vegan/vegetarian recipes by course or type of food (sandwiches, soups, entrées, side dishes, and so on). Head to Whole Foods Market Recipes.